Over the past few months, videos of Planned Parenthood personnel agreeing to sell body parts of aborted fetuses commanded the nation’s attention. There is no doubt in the mind of most who saw the interviews of these Planned Parenthood employees that they were marketing the hearts, kidneys, and other organs of recently alive infants. 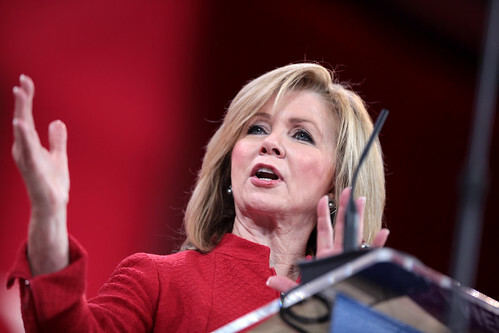 U.S. Congresswoman Marsha Blackburn of Tennessee speaking at the 2015 Conservative Political Action Conference (CPAC) in National Harbor, Maryland. Some rights reserved. Photo by Gage Skidmore, from his Flickr account. Following the showing of those interviews, protests from abortion partisans pointed out that the interviews were “secretly” recorded as if that were the real issue. True enough that secrecy was employed, but that was to be expected. Journalists regularly use such a tactic to get the “drop” on people with whom they disagree – as Mitt Romney found out prior to being defeated in 2012. Planned Parenthood employees would never admit to a known journalist that they were harvesting and selling the parts of babies. The videographers posed as customers and their taping had to be done secretly. When members of the U.S. House of Representatives saw some of the tapings, they voted 240-181 to cease sending any taxpayer money to Planned Parenthood, a justifiable move. Planned Parenthood actually received $553 million from the federal government in 2014, a large portion of which, despite claims to the contrary, enabled the organization to provide abortions. There is no doubt that if the House measure ever reaches President Obama, he will promptly veto it. The number of outraged members of Congress isn’t lopsided enough to override such a veto. Nevertheless, Congress has considered the matter serious enough to create its own investigation. A special House committee has been formed to look into abortion and related practices, including the marketing of infant body parts by Planned Parenthood. Headed by Congresswoman Marsha Blackburn (R-Tenn.), the panel’s spokesman has announced that investigations are underway, but there will be no conclusions reached until December, after the November elections. A Texas grand jury looking into the matter concluded surprisingly that Planned Parenthood had done no wrong and, instead, indicted the two videographers, David Daleiden and Sandra Merritt. They were charged with a felony, the tampering of a driver’s license. And Daleiden was further charged with seeking to purchase fetal tissue. Yes, he created a phony license and yes, he admitted telling Planned Parenthood personnel of his desire to purchase what they were selling. He didn’t really want some body parts of infants torn from a woman’s womb. And he felt it necessary to hide his real identity with the marked-up license. He got what he set out to obtain and people throughout the nation saw televised evidence of Planned Parenthood personnel negotiating such deals. Planned Parenthood officials now say they will no longer take money for marketing body parts, though they will still supply them for “research.” Defending themselves from the bad publicity generated by what has been shown of the secretly taped interviews, they have labeled Daleiden and Merritt “extreme” anti-abortion activists. In their view, abortion and marketing body parts taken from aborted fetuses isn’t extreme, nor is abortion itself worthy of such an adjective. But anyone who is opposed to abortion can expect to be so labeled. Planned Parenthood has long been the nation’s largest abortion provider. Since the 1973 Roe v. Wade decision opening the floodgates of the grisly practice, the lives of more than 50 million babies have been terminated in the so-called “land of the free.” Planned Parenthood’s abortion business does operate within the law established by that decision. The mentality driving the nation’s chief abortion provider contends that whatever the Supreme Court says is okay. That’s all they’ve ever needed. So the real issue here is the Roe v. Wade decision that ought to be overturned because life begins at conception and the taking of a life once conceived is nothing else but murder. Although murdering a child in the womb has been granted legality, it surely fails the test of morality. What’s happening here is akin to focusing on a mass murderer’s parking ticket and letting him go free because of a technicality in the filming of his taking a handicapped space for which he had no permit. Are you receiving our free weekly e-newsletter? Keep up with our latest news by signing up at our Facebook page. Be sure to also get our free Top Daily Headlines from The New American. 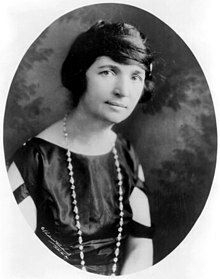 Planned Parenthood was begun by Margaret Sanger in 1916 (Photo by Underwood & Underwood [Public domain], via Wikimedia Commons). Yet, notes the good doctor, Planned Parenthood receives $500 million from the federal government every year. And the group performs nearly 330,000 abortions yearly. And, while demonstrators in places like Ferguson, Missouri, carry signs claiming “Black Lives Matter,” there are no signs noting that more than 50 percent of the victims of abortion are Black or Hispanic.